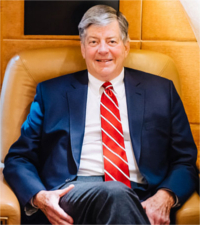 Bill Clark is one of the few Canadian lawyers devoting their total time to the commercial and regulatory legal requirements of aviation and travel companies, Bill’s practice is primarily a corporate and regulatory law practice with an emphasis on those business entities operating in those industries in Canada. Bill is consulted by many foreign air carriers and their countries regarding bilateral negotiations with Canada. Numerous airlines have utilized his legal services from commencement of operations to Canada by either charter services or offline services, through the bilateral negotiations with the Government of Canada to allow scheduled services. Bill also provides regulatory advice to domestic airlines as well as companies in associated aviation industries such as ground handlers, parts suppliers, engine overhaulers, flight training schools, helicopter operators and fixed-based operators. Commercial and transactional advice is also provided to aircraft lessors and lessees, as well as third party financial institutions in regard to leasing, financing and the interchange of aircraft.